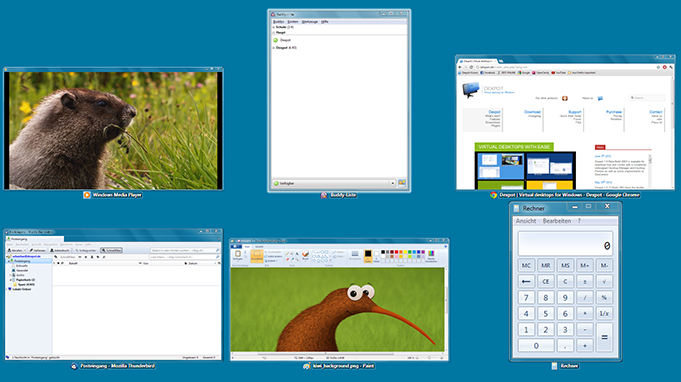 Full-screen preview is an interactive live overview of all desktops. 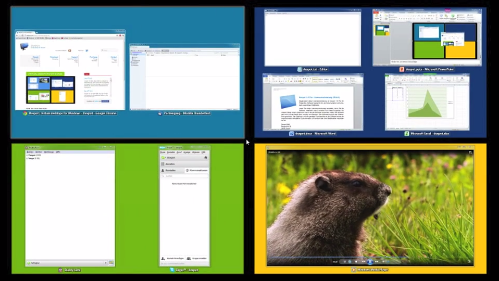 You can move windows to other desktops by simply dragging them with your mouse. Both components were entirely redesigned and visually enhanced. 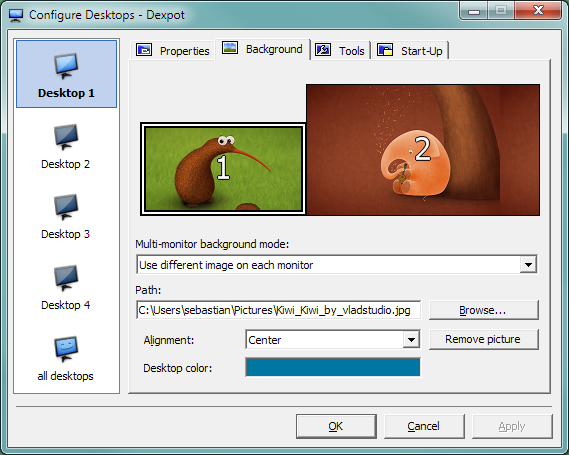 All components of Dexpot are now compatible with multiple monitors. 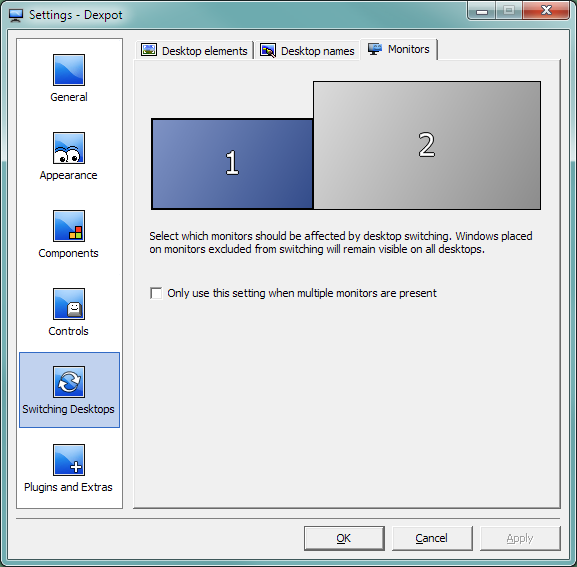 In case you want windows on individual monitors to remain visible on all desktops and content to be static, you can exclude monitors from desktop switching. Once an application is assigned to a desktop, it's permanently bound to it. 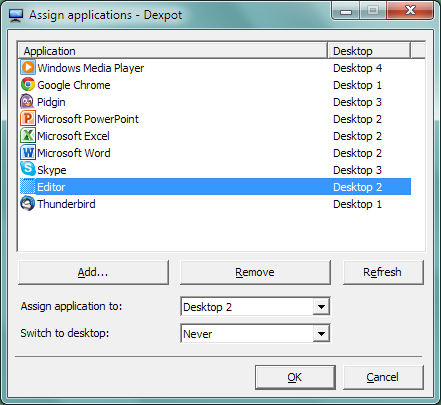 You can also assign applications to all desktops or the desktop where they were started. Set wallpapers and background colors of your choice for each desktop. Different backgrounds per monitor are possible as well. This option keeps the taskbar buttons of all windows visible on all desktops. 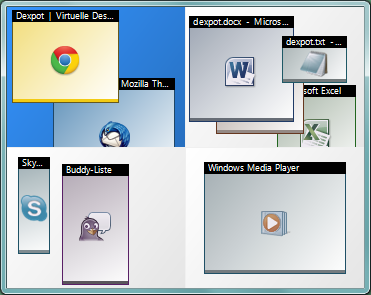 Clicking a button makes Dexpot switch to the desktop of the respective window. Get rid of icon chaos on your desktop: each desktop can have its own files and shortcuts. 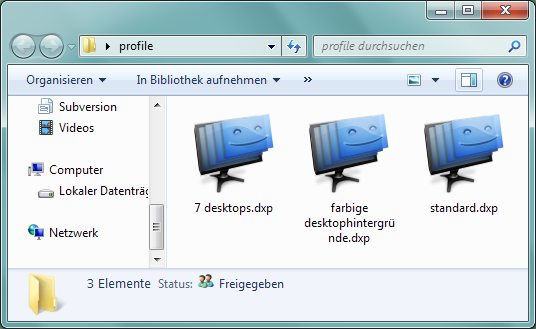 Split up your desktop icons by subject area. Features such as sorting and aligning of icons are maintained. The desktop name overlay is cleaner, has a better readability, can be freely positioned and optionally shows the Dexpot GbR logo. .dxp files are associated with Dexpot. Double click such file to load the profile. 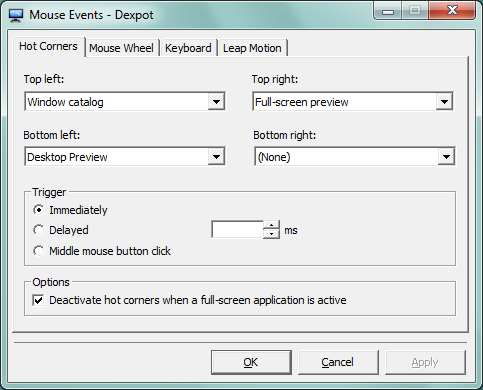 MouseEvents triggers functions by moving the mouse cursor into a screen corner. Global mouse wheel shortcuts can be used for desktop switching. Dexpot 1.6 has so many new features and improvements that a detailed description on one site is impossible. You can find a complete list in the changelog.